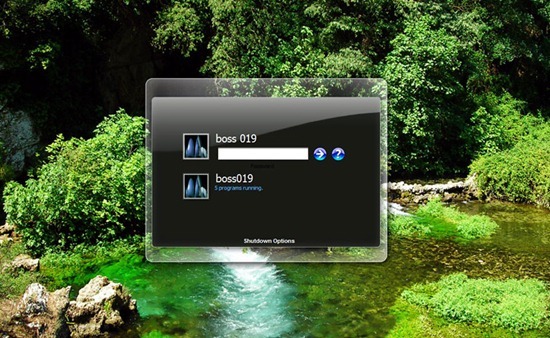 Easy way to Change Windows 7 Log-On Screen Back Ground! Hack Windows 7, Windows 7 Tricks, Hacking Windows 7. Hello friends in this post I write about How to Change Windows 7 Log-On Background Screen? If you do not like the Windows 7 login screen, you can change it as shown above by trying this simple hack. 2. Go To ‘HKEY_LOCAL_MACHINE\Software\Microsoft\Windows\CurrentVersion\Authentication\Log ​​onUI\Background‘. 3. Double-click the DWORD value called ‘OEM Background’ to open it and enter 1 in the Value data field. Note:- If the DWORD ‘OEM Background’ is not there, you need to make it. use on the log-in screen. A JPEG file that is less than 245 kb in size can only be used here. 5. Copy the image you want to use into the ‘%windir%\system32\oobe\info\backgrounds‘ folder. If the folder is not present, you need to create it. 6. Rename the image to backgroundDefault.jpg. 7. Restart your computer to check the new login background screen. Great now your windows Logon Background was Changed! Tags:- Windows, Windows 7 Hack, Windows 7 Hacking, Windows 7 Hack 2016, Windows 7 Hacking 2016, Tricks for Windows 7, How to change logon screen, How to change logon screen in windows 7, Change background of windows 7, Change windows 7 logon background, Easy way to change Windows 7 log on Background 2016, Change windows 7 background trick 2016 June, Windows 2015, Madlr Windows, How to, Google Windows 7, Logon screen change June 2016.